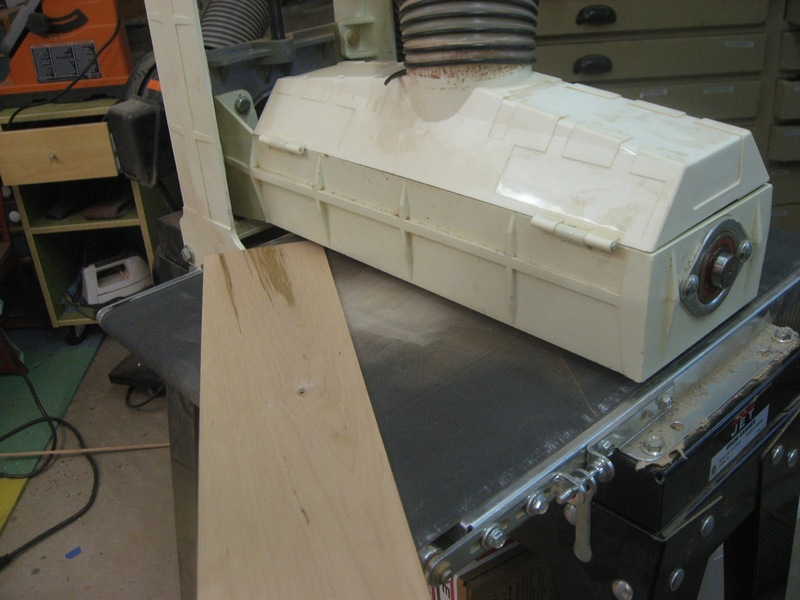 The inlay for the leg and top is 3/32″ wide – a choice based on looking at material with the actual workpieces. I also decided on cherry as a complementary wood with the walnut. Cherry can have some sap/mineral inclusions and dark grain lines – so I try as much as possible to cut around those: mostly by making a lot of strips and choosing the best ones! 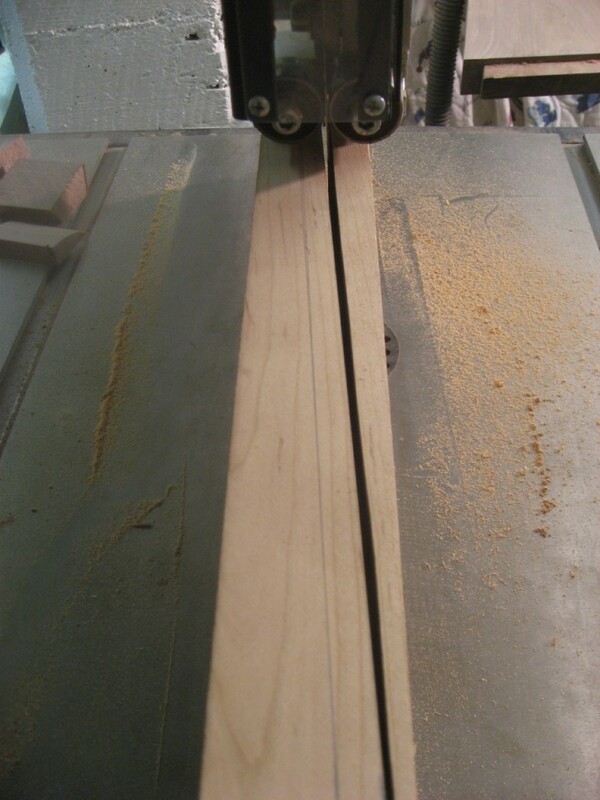 I start by cutting right along the grain on my bandsaw, to try to have inlay that avoids crossing grain lines. Cut along the grain lines to have consistent inlay material. Then it”s on to re-sawing close to 3/32″ using the bandsaw with the fence. I cut multiple strips, keeping track of their order in case I want consecutive pieces later on. 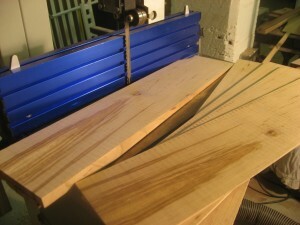 The bandsaw cuts the inlay material slightly oversized. Finally I surface both sides using my drum sander to dial in the exact thickness of the router bit (3/32″) – checking as I go. Finally, I rip strips off, again on the bandsaw, a little oversized so they end up proud of the surface and I”ll flush them down with a hand plane.